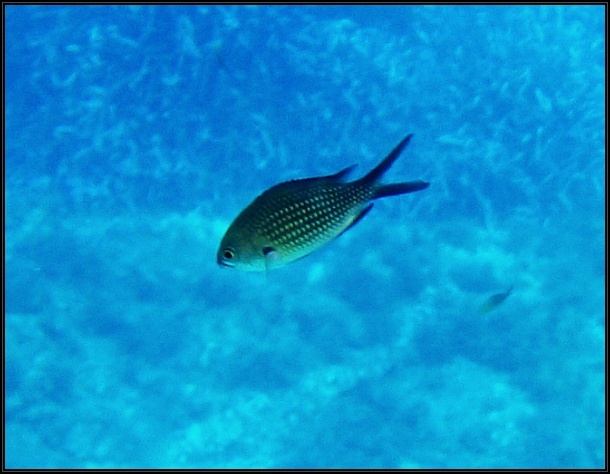 The Damselfish (Chromis chromis) is a ubiquitous fish found all around the Maltese Islands. It is a small dark brown-black coloured fish which is rarely caught for food due to its small size. 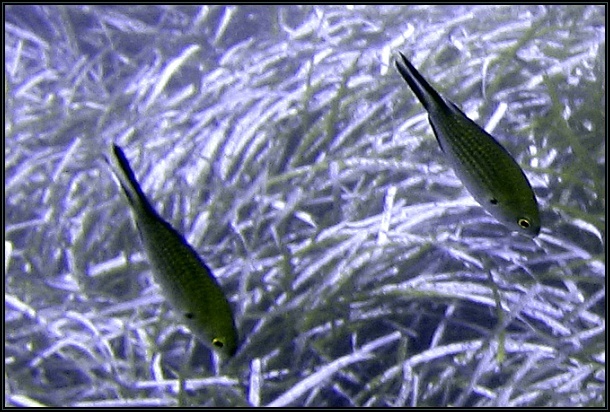 The damselfish is present in large schools close to shore. In summer the fry appears very close to shore and is characterized by its iridescent blue colour, which disappears as the fish grows larger.